The cast of Single Asian Female, by Daniel Boud. 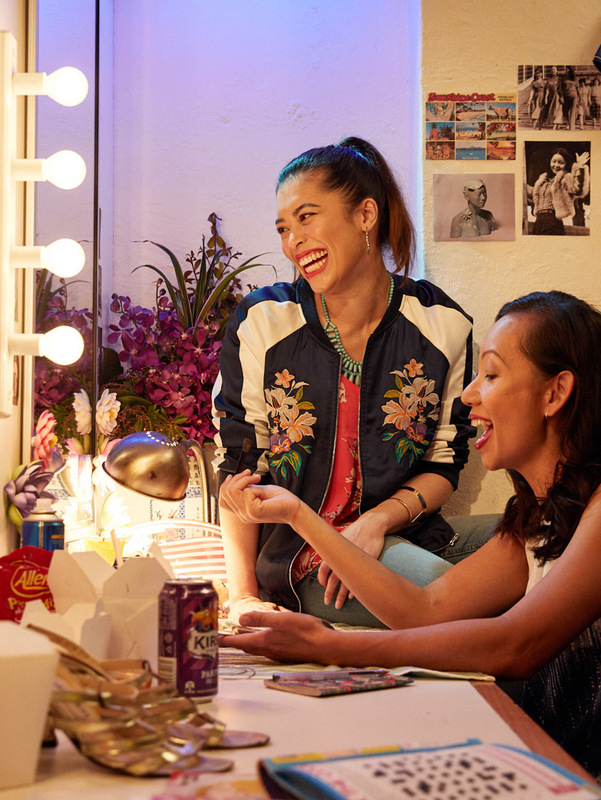 Angela Zhao gives Belvoir Theatre's Single Asian Female 4.5 out of 5 stars, and declares it an Australian gem that endearingly questions what Australian identity is, paired with memorable one-liners that you’d want to take out. Alex Lee & Hsiao-Ling Tang, by Daniel Boud. We’ve all gone out to have Yum Cha at some point in our lives, whether it be the infamous Noodle King at Haymarket, or a slightly dodge suburban restaurant. But have we ever stopped and thought of the stories behind our dim sums and fried rice? 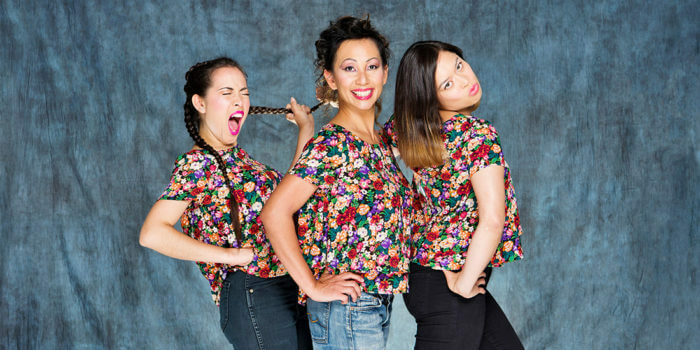 Fresh out of The Golden Phoenix restaurant on the Sunshine Coast, Michelle Law’s play, Single Asian Female, captures the authentic migrant experience in modern Australia through the eyes of the Australian-Chinese family who run it. Opening the show is the fierce and independent matriarch of the family, Pearl (played by Hsiao-Ling Tang), hailing from Hong Kong; think Tiger Mum with an Australian twist. The eldest daughter, Zoe (Alex Lee), is a professional violinist with anxiety juggling her career and love as she approaches her thirties. Lastly, there's Mei (Courtney Stewart), the youngest, in her final year of high school who is struggling to come to terms with her Asian heritage as she grows into an adult. The beauty of the characters and their experiences lies in how relatable they are to every single Asian female – pun intended. Particular experiences of being an Asian-Australian such as receiving those squinty eye comments, being fetishized by media and men with "yellow fever", and people always challenging that you aren’t Australian, are universal moments we all have experienced. Law, by dramatising these moments, helps raise awareness of racism and the migrant experience in Australia. What makes this play unique is its role in creating diversity, re-establishing theatre as a place for didacticism and for all to enjoy. Why is that so important? The women in a study conducted last year by the Australia Council for the Arts revealed that gender parity is still an issue in theatre, with only 35 % of theatrical productions in Australia having female involvement in writing and/or directing. Furthermore, a theatre study completed last year discovered out of the 95 major Australian theatre productions, only four productions involved people with colour. Writers of colour still remain at disadvantage, involved with 17.98% of production, despite Australia’s growing multiculturalism with a third of the country being born overseas, and 21% of us speaking another language - and that figure is still expected to grow. Single Asian Female’s intersectional representation of both gender and race alongside its success brings promise of more equal access to stage for alternative groups. Now what can show be without its team, whom all did an amazing job. The cast were not only amazing actors but great singers. I also want to give a shout out to the stage director and costume designer, for not overdoing the Chinese decor on set and creating a qi pao (also known as Cheongsam, a Chinese Traditional Dress) that any Chinese woman would love to don themselves. Although there are many sinister underlying political and racial themes, Law perfectly balances tension with comedy, leaving you roaring with laughter at one minute and then shedding a few tears in the next. Regardless if you are Smith or a Chen, there are definitely many lessons we can all take away - the world is your oyster, and that oyster is yours to rightfully enjoy. Angela Zhao is a fourth-year Advertising student at UTS with a hobby for singing and dancing, and is the classic food-photographer friend that takes photos before consumption. When not studying or working (and when she can afford it), she enjoys being of a patron of the arts.